NEW YORK, Aug. 20, 2015 – Baird, an employee-owned international capital markets, private equity, wealth and asset management firm, will host its annual Healthcare Conference in New York City Sept. 9-10. The conference will bring together institutional and private equity investor attendees to hear presentations from executives representing more than 85 public and privately held companies across a range of sectors. For more information on the conference, follow @BairdConference, #RWBHealthcare. As a preview to the conference, Baird Senior Research Analyst Matthew D. Gillmor, CFA, who covers Healthcare Information Technology, shares his thoughts on what’s driving healthcare IT growth, challenges for investors, and the impact regulatory uncertainty and the rise of consumerism is having on the sector. What is your outlook for the healthcare IT sector and who are the players to watch? Healthcare IT is one of the most dynamic and fastest growth subsectors within healthcare. Our outlook for the sector is positive, but there are challenges investors shouldn’t overlook. On the positive side, growth opportunities for healthcare IT are substantial and many of the publicly traded companies generate organic revenue growth of 5-10% and above. Key growth drivers for the healthcare IT sector include the rapid digitization of health information, the need to substantially alter traditional reimbursement models, and the rise of consumerism within healthcare. On the negative side, the deceleration in electronic health record (EHR) incentive payments has negatively impacted growth for some vendors. Additionally, healthcare IT stocks typically trade at higher-than-average valuation levels, which can result in higher share price volatility. In our view, the healthcare IT companies to watch include vendors that benefit from these growth drivers and enjoy certain structural advantage, such as a large installed base, superior R&D, organically developed capabilities, and a cost/pricing advantage. Among the companies we currently cover Cerner Corporation (CERN), The Advisory Board Company (ABCO) and Allscripts Healthcare Solutions, Inc. (MDRX) are our favorite ideas. What impact is ongoing regulatory uncertainty having on the sector and what should investors be watching? Regulation has had a positive and negative impact on the healthcare IT sector, primarily through the HITECH Act and the Affordable Care Act (ACA). The HITECH Act of 2009 provided $30B of incentive payments for hospitals and physicians to adopt and demonstrate “Meaningful Use” of EHR technology. On the positive side, the HITECH Act accelerated organic growth for many healthcare IT vendors during 2010-2013. However, incentive payments are now decelerating. Additionally, HITECH regulations have been very prescriptive and, some would argue, resulted in a user experience that is driven by reporting mandates rather than clinical usefulness. The ACA has also had a major impact on healthcare IT. In addition to the expansion of insurance coverage through the health care exchanges and Medicaid expansion, the ACA has also accelerated the transition towards alternative payment models, such as accountable care organizations (ACOs). These alternative payment structures frequently require hospitals and physicians to monitor patient costs and quality outcomes. This has created a number of growth opportunities for healthcare IT. There are several pending regulatory events investors will be focused on over the medium term, including Meaningful Use Stage 3 and ICD-10. The Meaningful Use Stage 3 regulation should be finalized later this year, and will likely reduce EHR reporting requirements for hospitals and physicians. The scheduled implementation of ICD-10 in October will modify hospital and physician billing procedures. The potential disruption from this change may create opportunities for revenue cycle vendors, such as athenahealth, Inc. (ATHN). What is driving M&A in the sector and what impact will that have on investors? M&A within the healthcare sector has been an important investment theme for many years. Recent M&A activity has been driven by reimbursement cuts and the desire to gain scale due to ACA-related pressures. For healthcare IT, M&A for the publicly traded companies has been driven by several factors over the past 6-12 months, including weaker vendor exits (Cerner Corporation’s (CERN) acquisition of Siemens Health Services is one example) and stronger vendors expanding capabilities (athenahealth, Inc.’s (ATHN) acquisition of RazorInsights is an example here). Historically, M&A within healthcare IT has produced very mixed (and often negative) results for public shareholders, primarily because of the difficulty integrating systems and client disruptions. Among the stocks we cover, organically developed companies generally outperform M&A-driven strategies. We are optimistic CERN’s acquisition of Siemens will be an exception to this rule. CERN acquired Siemens primarily as a “hunting license” (i.e. a customer base to sell additional CERN solutions into) and will continue to support legacy Siemens products for many years. What impact does the rise of consumerism within healthcare have on the names you cover? The rise of consumerism within healthcare is a major growth driver for many healthcare IT companies and the impact is far reaching. Consumers are being forced to make more “rational” healthcare decisions due to ever rising deductibles and evolving benefit designs. As a result, technologies and solutions that support the consumer’s ability to make better decisions are seeing rapid growth. For example, Press Ganey Holdings, Inc. (PGND) collects patient satisfaction information on hospitals and healthcare providers. This data is often included in provider Star Ratings that are reported by Medicare to the public. Telemedicine is another area that has received a lot of attention recently, as employers, payers and patients seek ways to improve convenience and avoid high-cost ER visits. Matthew Gillmor is a Baird senior analyst covering Healthcare Information Technology. He also was a member of Baird’s Healthcare Facilities & Services team. 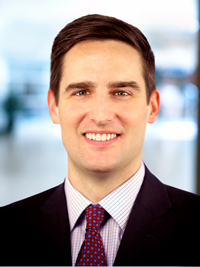 Prior to joining Baird in 2008, he was an associate analyst at Philadelphia Financial Management of San Francisco. Matthew received a Bachelor of Science degree in Economics from The George Washington University. Baird is an employee-owned, international wealth management, capital markets, private equity and asset management firm with offices in the United States, Europe and Asia. Established in 1919, Baird has more than 3,100 associates serving the needs of individual, corporate, institutional and municipal clients. Baird has $152billion in client assets. Committed to being a great place to work, Baird ranked No. 5 on FORTUNE’s 100 Best Companies to Work For in 2015 – its 12th consecutive year on the list. Baird’s principal operating subsidiaries are Robert W. Baird & Co. in the United States and Robert W. Baird Group Ltd. in Europe. Baird also has an operating subsidiary in Asia supporting Baird’s investment banking and private equity operations. For more information, please visit Baird’s Web site at www.rwbaird.com.